At another of my school visits I noticed there was a cricket club that was being held after school in the school hall (kwik cricket). Again it was a commercial company and the coach came along to run the club for about an hour. The common theme here which I am sure you will have picked up on is….no staff were involved in either of the activities. Staff did not help with the activities and quite literally the school had no involvement. Many years ago when schools had a vacant post they could advertise the job and the type of individual that they were looking for. So for instance if they wanted a man to do a certain job then they could state this or if a woman was needed to take girls craft then they could advertise this. This type of advertising was eventually phased out and advertising for men or women was not allowed. To try to get around this schools would then advertise the post in such a way that it became obvious that they were either wanting a man or woman. So for example they might say “Teacher wanted for Y3 class – an interest in sewing and girls craft is essential” – or similarly “must be able to take boys football.” In response to this some training colleges started to teach and award women students the basic F.A football coaching award to allow them to apply for such posts – although I can’t remember the sewing skills being taught to the men! Obviously I have digressed on that – but the point I am trying to make was that in the past, Staff were always involved in running activities in school. In fact I taught at one school where ALL staff were expected to run a club! So what are the benefits of Staff running clubs and is it the case that this now becoming a diminishing contribution? In my opinion Staff running clubs in school is a major and positive addition to school life. So is there any difference between members of staff running the clubs and a commercial organisation visiting the school. Well I think there is and its not in the favour of the visiting coach. Schools that adopt this approach lose out on the many benefits of staff involvement and we will look at this later in the article. Visiting coaches are just that – visiting. It may take all the organisation away from the school, but to be honest this results in members of staff having no interest in either the club, the activity or the children’s involvement and success. In short it becomes something that just happens! Does it benefit the school – marginally….does it benefit the children….yes it can do, but there is so much more that is lost. 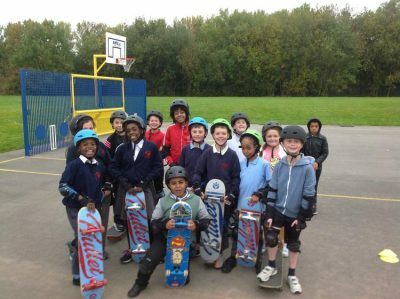 School clubs usually base themselves around the interests and hobbies of staff or activities in which they have some knowledge. This can provide a wide range of experiences for the children and if staff share a club activity then it can be a great learning opportunity for 1 or even both staff. The obvious first choices are sports clubs and these can usually be handed to NQT’s. Its a chance for a new teacher to get to know and become known by the children in the school. Its also a first step to organising and taking some basic responsibility without really having anything to “mess up!” Football and Netball are the usual 2 activities extending to athletics and cricket during the summer. If these are accompanied by a Sports notice board then its a recipe for success. Membership of local Primary Leagues extends the excitement, gives the activity a purpose and means that teams get to play competitively against other schools and possibly against friends – it generates a good sporting competitive spirit and depending on how good the school team is; teaches vital lessons in both winning and losing! 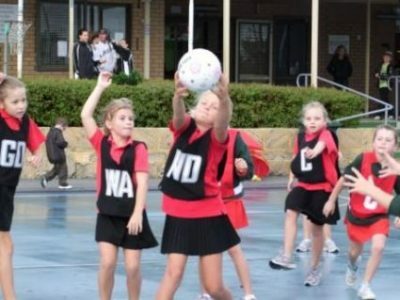 I can still remember playing in the school teams at Junior level and the excitement of wearing the school football kit – the match reports in assembly with all the team standing at the front and the pictures and report on the notice board afterwards and it was the same for the girls netball teams. The list could go on and on….they don’t have to be curriculum based and they don’t have to be complicated. So what are the benefits and perhaps some drawbacks? 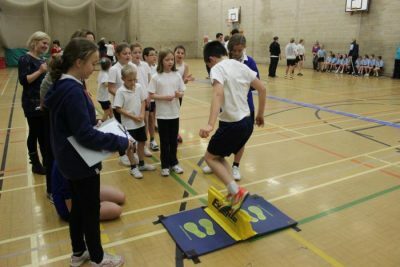 Lets start with the benefits – perhaps the greatest benefit is that running school clubs draws the school together as a community and this is a very important aspect in any school. In extending the learning environment into new and exciting areas it shows the school in a completely different light to the children. It no longer is the place where they have to learn lets call it the ” textbook curriculum” – it becomes a place where new, strange and exciting things can be experienced and enjoyed. It also shows the members of staff in a completely different light. The day to day teacher / pupil relationship is suspended and both teachers and children can get to know each other in a completely different way. This allows an understanding by both sides of the “people behind the person” – it cements the bonds of trust and respect and has positive effects in the classroom. A further consequence of this is that Parents also start to see the staff and school in a different light. They appreciate members of staff are using their own time to run clubs and activities for the benefit of their children and this does not go unnoticed. Parents feel that staff are more approachable (and more human!) and you will notice that they appear more chatty and friendly. Drawbacks – well I can only think of one and that’s time ! Things have changed in teaching over the years and staff are pressurised like never before. Accountability and paperwork seems to dominate not only school hours but time that should be spent with family and friends. My concern stems from my observations on visiting schools. There seem to be more and more visiting coaches that are taking activities that used to be done by members of staff and the value of the activities themselves are being forgotten or ignored – in fact sadly these activities now do not seem to be school activities any more…simply things that happen in lunchtimes or after school that have no connection with the school. Perhaps this is just my view and maybe your school has a great staff involvement and clubs are run right across the age ranges – in which case you will fully understand the benefits that it has to everybody in the school both staff and children. However, and I hope I am wrong, but I get a sense that this is slowly slipping away to the detriment of us all. All teaching staff except the head and NQTs run clubs in our school; however we also have commercial organisations run clubs for dance, football (we also run a school team but can’t cope with the numbers), maths, science and karate (all chargeable). We try to offer the widest range of clubs possible run at both lunchtime and after school, but these are restricted by time and space, all are free of charge. We couldn’t ask for any more from our staff they give of their time without complaint. Just a few of the clubs we run :~ eco, gardening, dance, gymnastics, athletics, cheer leading, football, art, DT challenge, newspaper, recorders, buddy readers, netball, library, tennis, book club, guitar, choir, skipping. Many staff doing more than one club. Wow Jane what a fantastic range of things going on at your school – the children are very lucky indeed. I sure we agree that clubs and activities bring a fresh atmosphere right across the school and have a really positive effect on not only the children’s behaviour but on every aspect of their school life including academic. I fully appreciate your view on the value added to a school when staff contribute to clubs and agree it is an excellent way of getting to know children across the school and outside of the classroom. However as an NQT in Year 2 – I can safely say that teaching – as a profession- is like nothing I have ever encounted. You can work your hardest, fill every hour of your day and there is still more to be done. I leave home at 6.30am and return at 6.30pm I then work when I get home and work at weekends too. My family barely see me, my children wonder who this stranger is in their house- but still there is always something more than needs to be done! With the new curriculum, new unattainable standards, new expectations, ofsted, data, differentiation on an almost inhuman level, SEN, booster groups, hook days, more data, book scrutinies, topic, English, maths, phonics, guided reading, extra writing input planning at the start of the day, supporting, nurturing, first aid, music, assembly, did I mention play? And NQT files and training days – if someone asked me to run an after school club too- then I may just dissolve and wonder whether giving blood was enough and perhaps now I should give tissue and some cells too! Hi Ash – you are not alone in feeling this way. I gather from what you have written that you are in your NQT year…so keep going! You can, in reality, expect a high level of work in your first 2 years and I advise NQT’s that this will happen. This is because your learning curve is very steep and as such everything you do is both new and takes longer. However you have to be conscious that although there is so much to do you must make time for your life outside of school. I know this seems very difficult to do / sometimes impossible but it is vital that you do create this break. Teaching has the possibility to swamp your whole life …and this is the case for all teachers – but as you become more experienced you will get to know how to make the system work for you – what is important and what is not. Accept as I said that 2 years will be your lead in – but from then on you must take a “Professional” viewpoint of the job and make it work for you. Let me pass on something that was said to me a long time ago “if you have 1 or 2 all singing /dancing lessons in a week then that’s all you can do – the rest is just bread and butter stuff!”….and its true. I agree with your sentiments about the extra caused by running clubs – you have enough going on as it is!